WordPress is one of the most used web design platforms in the world. As of January 2018, nearly a third of the world’s top ten million websites were WordPress-based. In a world so full of digital options, that’s a huge market share – and there’s a reason the platform is so popular. WordPress began life as a humble blogging tool, a quick and easy means of setting up a website online that could play host to all your posts. What made it special was that it was totally open source – in other words, users could access the code that made the platform work, and alter it. Before long, WordPress had, through the contributions of its users, grown far beyond its basic beginnings. 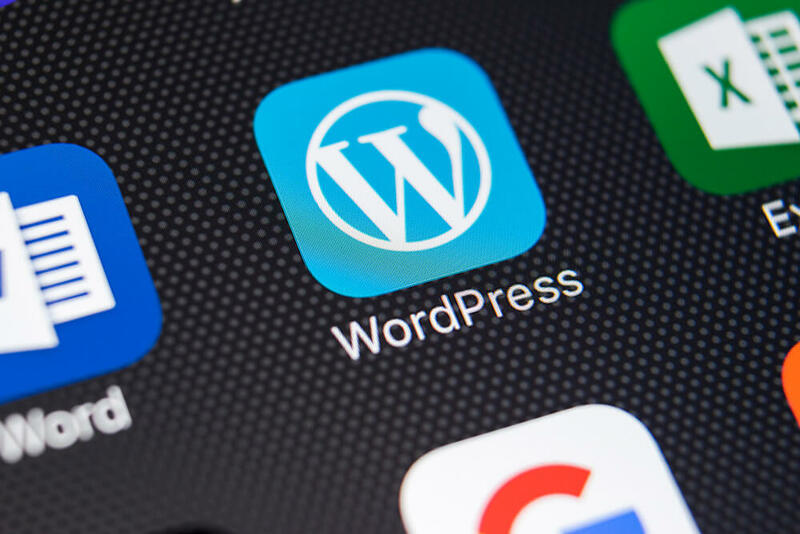 WordPress is now a system for building websites of infinite variety: from blogs to brochures to portfolios, the platform is now incredibly versatile. Users have created innumerable themes to alter and customise the look of websites, and countless plug-ins to add functionality and features. Most of all, it’s incredibly easy to use – once set up by your web developer, the basics of updating your pages and products is intuitive and takes seconds. Businesses have adopted WordPress readily for this reason – it takes up less staff time, and its ubiquity often means that only the lightest of training is necessary … because staff are already familiar with it! Ecommerce websites, of course, can be different beasts. They have very specific requirements and need to inspire total confidence in their users. But the truth is that WordPress has come so far from its beginnings that it is often the smartest choice even for ecommerce. For one, it has an extensive plug-ins marketplace. That means that your site is potentially extremely powerful – because simply installing a new plug-in can make it capable of whole new things in seconds. From security to sales, plug-ins will offer your customers all the services they need. Secondly, that variety of themes puts thousands of different looks at your fingertips. You sell online because customers enjoy their experience on your website. WordPress themes look great and load seamlessly – that’s the best way to inspire confidence in your clients. Thirdly, WordPress is astonishingly search engine-friendly. The system has been perfected over years to appeal to search engines, and that means your products will be found by people typing their phrases into Google, Bing and the rest. This is key to developing new business. Fourth, WordPress sites are highly customisable. This means you’ll never be stuck with a site past its sell-by date – as you expand, or your customers’ expectations change, you can simply retool your WordPress site. Voila! You have a whole new home on the web. And finally, don’t forget: WordPress is for blogging. Don’t ignore the system’s core functionality – reach out to your clients and create a lasting connection with them!